1/3 A4 Flyers are perfect for many businesses who want to stay clear of the standard A5 and A6 flyer printing options. Printed on your choice of silk, gloss or uncoated paper stocks our 1/3 A4 flyer printing is second to none. Prices start from as little as £15. 1/3 A4 Flyers are sometimes known as DL Flyers, but this is an incorrect naming. They're pretty close to DL size, but in reality they are exactly 1/3 of an A4 page, but they do fit snuggly into a DL Envelope, hence the name. Thinner than normal A5 flyers, these flyers are a great way to present your message in a slightly more bespoke manner. We offer a range of paper weights and types for you to choose from and can meet almost any deadline with our express digital printing option. If you require design of your 1/3 A4 flyers we can help also. Our team of highly skilled designers can create designs bespoke for your business, that dazzle, eduate and sell. We have unrivaled experience in creating designs for print and have helped craft marketing campaigns for businesses all round the country. We know what works and more importantly what doesnt work. 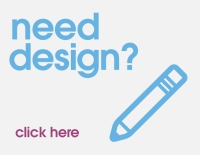 Use our knowledge to help design the right campaign for your business.